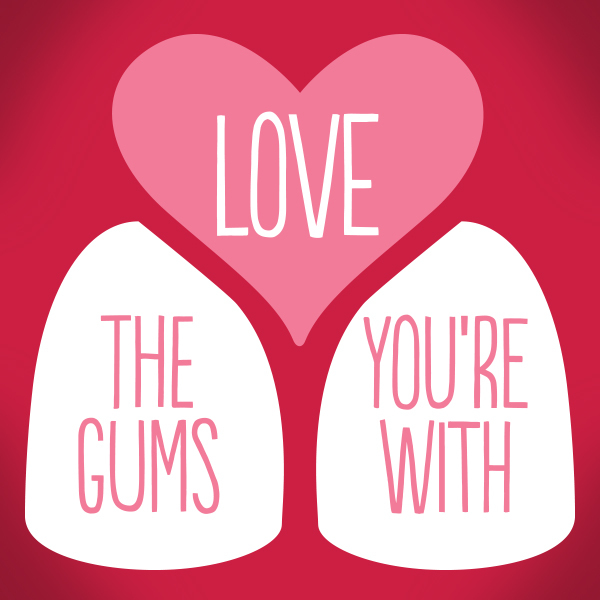 With one in every two adults age 30 and older suffering from periodontal disease, commonly referred to as gum disease, the American Academy of Periodontology (AAP) is calling for everyone to Love the Gums You’re With and take better care of their gums. Periodontal disease can lead to receding gums, bone damage, loss of teeth, and can increase the risk of other health problems such as heart disease and diabetes. Despite its prevalence, periodontal disease is hardly ever discussed, resulting in a lack of urgency for people to properly care for their gums. Simple steps like brushing twice a day, flossing daily and receiving an annual comprehensive periodontal evaluation from a periodontist can help detect and prevent gum disease. Periodontal disease is an inflammatory condition that, if left untreated, may cause damage to the tissues and bone surrounding the teeth, eventually leading to tooth loss. In addition to diabetes, periodontal disease has been linked to other chronic diseases, including cardiovascular disease, rheumatoid arthritis, Alzheimer’s disease and even cancer. Periodontal disease typically does not cause pain until it’s in an advanced stage, at which point much of the damage has been done and tooth support destroyed. To aid in the prevention of periodontal disease, the AAP recommends establishing good oral hygiene habits and discussing gum health with a dental professional. Each patient is unique and a dental professional can make a referral to a periodontist who specializes in the prevention, diagnosis and treatment of periodontal disease for a comprehensive periodontal evaluation and specialized periodontal treatment plan.